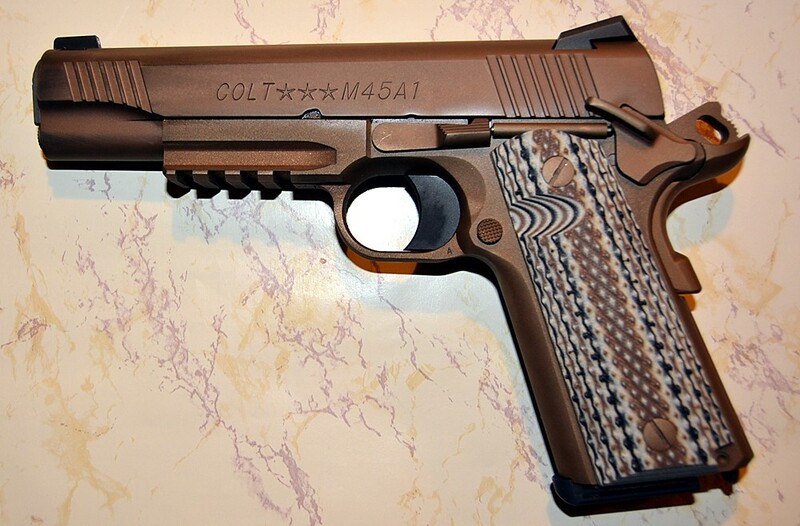 Several months ago I purchased a Colt M45A1 pistol from a local gun shop. The model I bought is a Colt commercially available pistol, identical in every aspect as the actual pistol purchased by the Marine Corps with an ambidextrous safety, Trijicon three dot night sights, special VZ stocks, and a special finish. The only difference is the Rollmark on the slide. 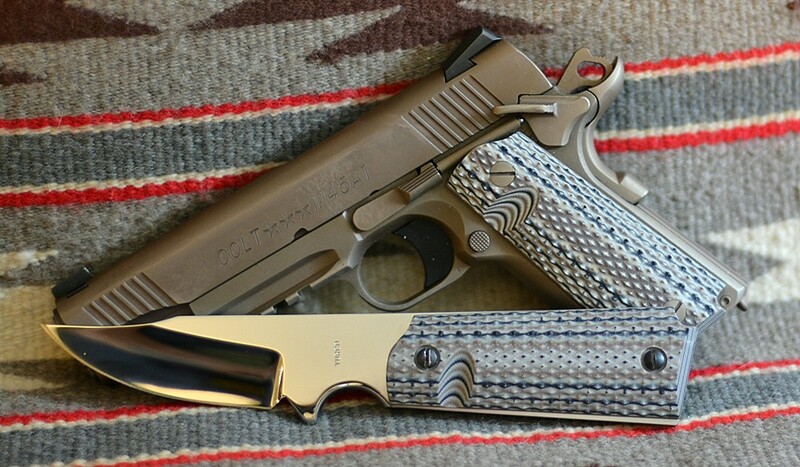 Originally Colt offered this model with USMC marked on the slide. The Corps took exception so Colt changed the marking to M45A1. There are several other versions out there; one, from Colt's Custom Shop came with an olive drab Pelican Case, Otis Cleaning Kit, etc and was pricey. Recently a limited number of "decommissioned" Marine Corps guns became available for sale on Gun Broker. These were actual Marine Corps guns and come with a Colt Factory Letter attesting to that. Expensive guns. My Colt has an MSRP of $1,699; it has exceeded all my expectations for a factory gun - no failures whatsoever. Good to see America is back with thinking Generals again, should of never left the .45ACP IMHO. I've also heard rumors they've un moth balled the M14 for distances over in the sand?